Father John was our founding priest. He purchased the rectory and obtained the pro-perty for the building of the church. He began our history here in Laughlin and has left a lasting legacy here. Father Kevin had the shortest tenure in Laughlin (only 11 months) and he was respon-sible for moving the Masses to the Riverside Resort. Father Peter sold glass fish to raise money for the building fund and increased the parish savings in preparation for eventually building the church. Father Ray continued to accumulate funds and to increase the momentum for the building of the church. 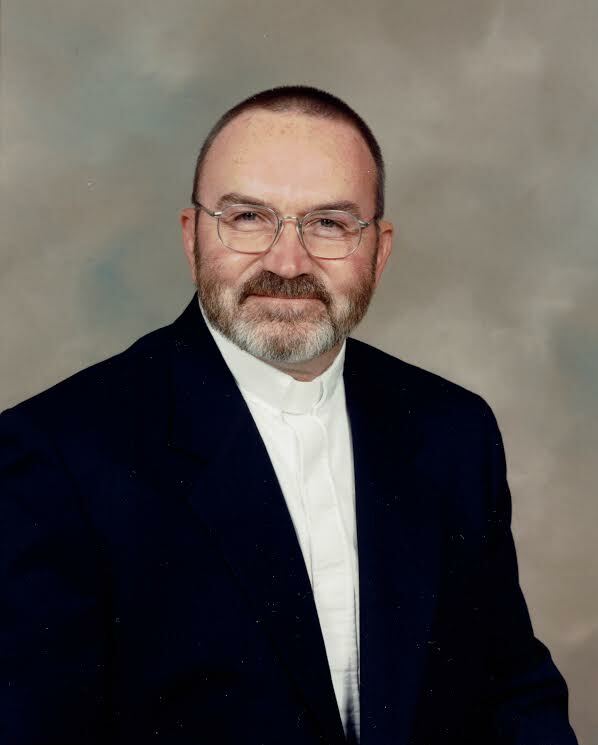 Father Frank completed the plans for the church, oversaw the construction, and dedication of the church in October 2003. Father Charlie designed the parish caasino chips and other souvenirs, oversaw the paying off of the mortgage, and was instrumental in having St. John's be raised from a mission to the status of a parish. Father Francisco Garces, OFM, a Franciscan Missionary crosses the Colorado River and visits what is now Laughlin, Nevada. Father Garces thus becomes the first Catholic priest to ever visit what is now the State of Nevada in the United States of America. It was a brief visit, only extending into the next day (March 4, 1776) but it is truly an historic visit making our little parish "the birthplace and the heart of the Catholic Faith in Nevada." More than 500 local signatures are gathered to petition the bishop of the Diocese of Reno-Las Vegas to send a priest to Laughlin. The campaign was successful. 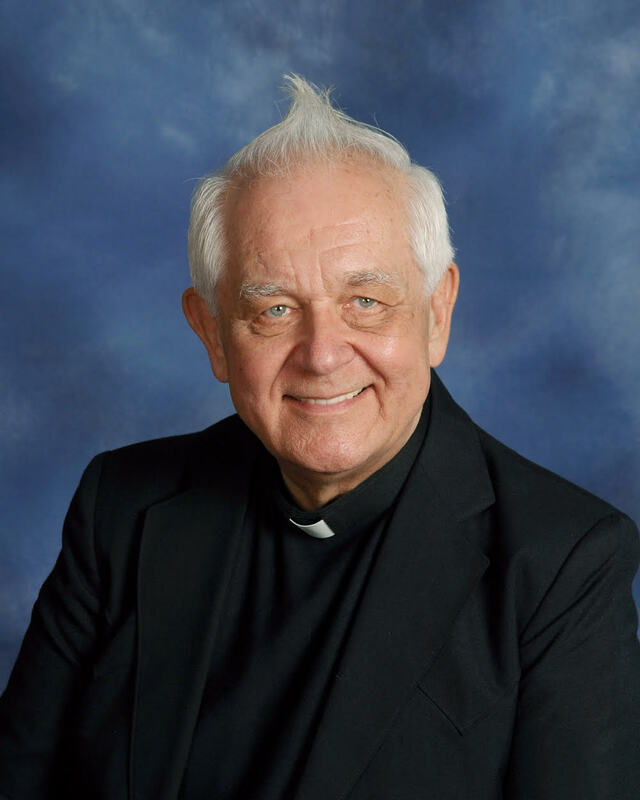 Bishop Daniel Walsh sends Father John McShane as the first Administrator of the newly-formed St. John the Baptist Catholic Mission in Laughlin, Nevada. Father John arrived on August 15, 1992, and the first Mass was held on August 16, 1992 at the Gold River Hotel and Gambling Hall, which became the River Palms, and is now known as the Laughlin River Lodge. Father John arranged for the purchase of the rectory and became know throughout the area for his kindness and generosity as the little Mission grew in numbers. Father Kevin McAuliffe is appointed as the second Administrator of the Mission, and the weekend Masses are moved to the Riverside Resort later that year. The weekday Masses continue to be offered in the dining room of the rectory. 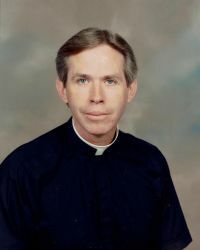 Father Kevin served in Laughlin for only 11 months, making his tenure here the shortest of all of the administrators. Father Peter Romeo is sent to Laughlin as the third Administrator of the Mission. Our numbers continue to grow and plans are being made for the construction of a church on the original site obtained by Father John McShane. Father Peter even sells little glass fish at the casino Masses to raise funds for the future church building. He prepares the basic framework for the construction of the church. Father Ray Schultz becomes the fourth Administrator of the Mission. Father Ray is instrumental in laying the financial groundwork for the consturction of the church. Father Frank Yncierto is appointed as the fifth Administrator of the Mission. Father Frank ultimately completes thepre-buiding requirements for the church and oversees the construction process. St. John the Baptist Catholic Church is dedicated by the Bishop of Las Vegas. The church is located on the corner of Banyon and El Mirage, the first church of any denomination to ever be built in Laughlin! Father Charlie Urnick arrives from New Jersey and is appointed the sixth Administrator of St. John the Baptist Catholic Mission.